Krabathor has been founded by Christopher in 1984. In the 1988 year the band recorded 3 rehearsal demo tapes called:"BREATH OF DEATH","TOTAL DESTRUCTION","BRUTAL DEATH" and played their first succesfull gig in Prague in front of 1.500 fans. 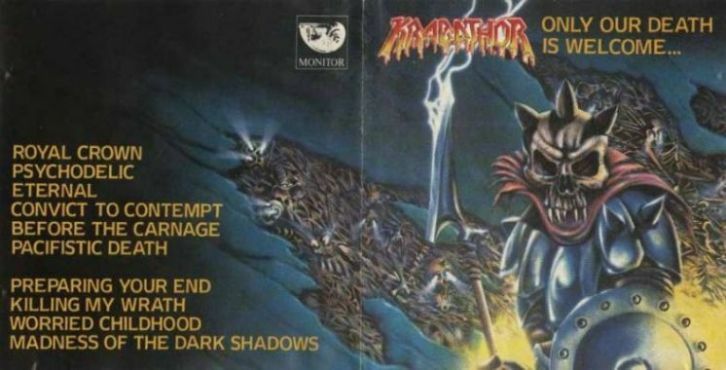 In April 1991 Krabathor finally recorded their first demo "FEELINGS OF DETHRONISATION" (English version-August 1991) and they started to play live shows whole over the Czech republic and Slovakia, later also in foreign countries. Before the end of 1991 the band got an offer for two albums from the biggest Czech major label MONITOR RECORDS. The debut album "ONLY OUR DEATH IS WELCOME…" was released in March 1992 and had very good sales and the final number was over 16.000 copies sold of this CD/LP/MC. By the way, this CD supported a video clip for the song"Pacifistic death" and was played on Czech and Slovakia TV. 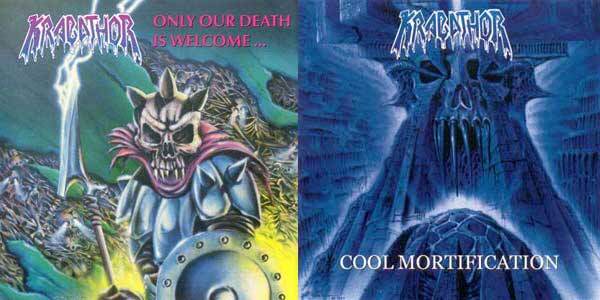 The second release was "COOL MORTIFICATION" from September 1993. It sold about 8.000 copies. After this album the band decided to leave this company because of their orientation only to Czech and Slovakian market. 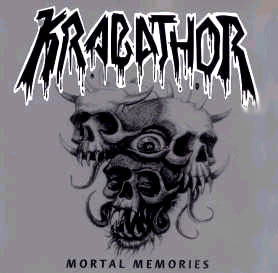 In February 1995 Krabathor signed a new deal for the third album with the German label MORBID RECORDS. In the summer 1995 they released the 7" EP "THE RISE OF BRUTALITY" ( it was released on black, red and white vinyls). 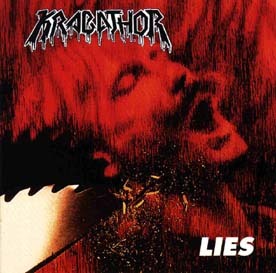 In September 1995 Krabathor released their third album called "LIES" which has been later licenced to several European countries and sold about 15.000 copies.This album was supported by two European tours, first in October 1995 with Impaled Nazarene and a second one in April/May 1996 as a support of Cannibal Corpse, Immolation,Grave,Rotting Christ and Impaled Nazarene again. 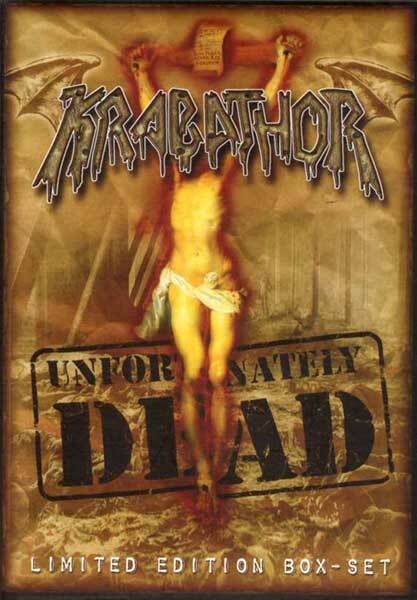 In summer 1996 Krabathor played at the famous festival Metalmania in Milwaukee/Usa. In December 1996 they recorded some new material, 5 songs (Including 3 remakes from the oldest demotapes) and all this was released as a mini CD called "MORTAL MEMORIES" which included a CD-Rom video clip: "Unnecessarity" taken from "LIES" CD. For the support of the mini CD Krabathor recorded the video clip for "Apocrypha" and Krabathor played on the "Mortal memories tour" with support bands Groinchurn and Sanitys Dawn. 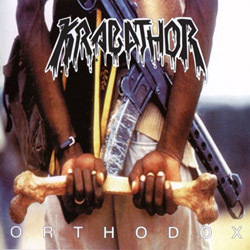 In March 1998 their new CD called "ORTHODOX" was released. supported by a video clip called "Liquid". 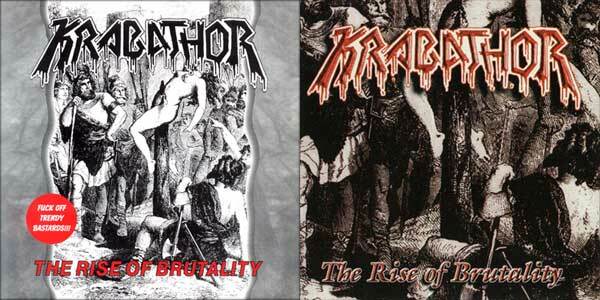 Krabathor has toured through Europe with bands Malevolent Creation and Master. 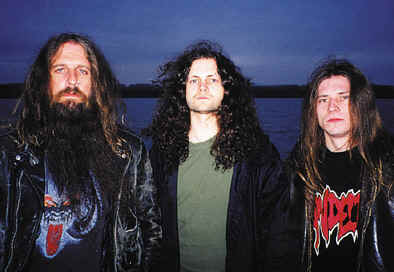 In February 2000 Paul Speckmann joined Krabathor(ex-Master and Abomination). The line -up is now: Christopher ( guitar, vocals ), Speckmann ( bassguitar,vocals ) and Skull ( drums ). Krabathor signed a new contract with the Germany label: IMPACT RECORDS/SYSTÉM SHOCK and new CD was released on Oktober 13. 2000 This release was baptised as "UNFORTUNATELY DEAD". After this CD Krabathor have been supporting their new CD with a lot of single shows, festivals and tours all over Europe and the USA. After these shows they found some free time. They started to work on the new CD. 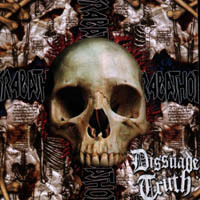 The titel of the CD was chosen as: "DISSUADE TRUTH" and it was released under the same label from Germany -System Shock in the begining of the 2003. This new CD included 9 fast and aggressive songs. Krabathor have undergone big changes in the writting of the music. The music is kind of Death metal still, they didn´t like to do make changes in their style. As Paul Speckmann is in the band, they have decided to create big differences between Master and Krabathor. As some fans told that Krabathor sounds more like Master. Then ehile creating the new CD they decided that all songs will be written and sung by Christopher. Paul just helped Christopher out with two lyrics. They would like to separate the two bands (Master and Krabathor) and so it was done . Now the new CD has been released and Krabathor have started to support the new CD with shows and promotion. 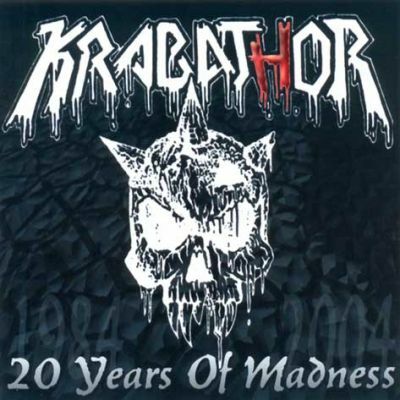 During Krabathors history they played around 800 shows with a lot of great bands for example: Vader, Cannibal Corpse, Deicide, Kreator, Entombed,Napalm Death, Malevolent Creation, Master, Impaled Nazarene, Grave, Immolation, Agathocles, Blood, Nightfall, Anathema, Sinister and many many others. We have played a lot of tours, single gigs, festivals in different countries for example the Czech republic, Slovakia, Hungary, Germany, Croatia, Slovenia, Austria, Belgium, Holland, Lithuania, Poland, Russia, Belorusia, Switzerland, Italy, Spain, France ,USA, Japan, South Africa, Sweden, England…etc.